BIKE Magazine showcases the sport of mountain biking like no other publication, capturing its personalities, trends and issues with a style all of its own. 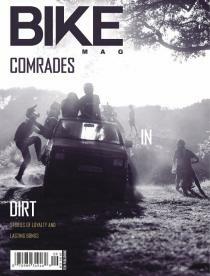 Using the sport's best photography and insightful feature articles, BIKE is sure to inspire you to get outside and ride. We will continue to renew your Bike Magazine subscription at the rate then in effect, without interruption, unless you tell us to stop. At the end of your subscription you will receive a notice prior to your credit card being charged. You may cancel at any time during your subscription and receive a full refund on all unmailed issues by visiting the Online Customer Service Center. If there is ever a problem with the card you provide, we will simply bill you instead. Copyright © 2019 American Media, Inc. All rights reserved.